Jones Realty Group contacted me to assist in a logo design for their rebrand from Matt and Beth Jones to Jones Realty Group. A key requirement was that it would work in tandem with the existing Edina Realty Logo. Some other requests were to avoid cliché house imagery, and keep it clean, classic and simple. The JRG Moodboard highlights styles that are in line with their business personality. 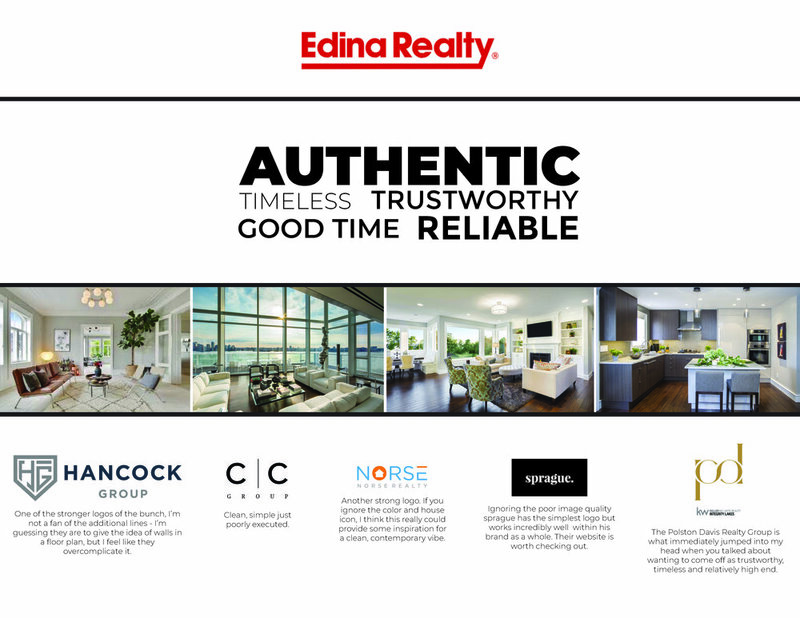 The existing Edina Realty logo (not a Pixel Loon design) is emphasized first and foremost since whatever logo solution we came up with had to work in tandem with it. Sketches commenced and, very quickly, a key concept became the frontrunner. A few different options were presented that involved a key as we felt it was a simple but effective element to highlight their core values of trustworthiness and reliability while also giving a direct nod to a house lock and key. After the final logo was given the green light in black and white, we explored color options. Midnight blue and a red to match the existing Edina Realty brand was selected to promote trustworthiness, boldness and excitement. The one page style guide (shown at top of page) and a business card was then developed. The JRG business card utilized two of the logo variations included as part of their design package.